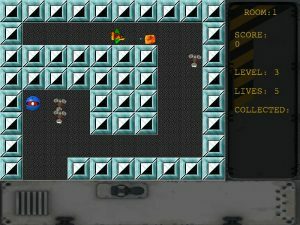 Launched earlier this year at Wakefield by AMCOG Games, Cyborg is an arcade action game by Tony Bartram in which you take on the role of a cyborg treasure hunter, seeking out ancient treasure in Castle CyberDroid – and Tony has just pushed out Cyborg Second Edition, an update to the game that brings it up to version 2.20. Inspired in part by games such as Cybertron on the BBC Micro, Cyborg was developed using the AMCOG Development Kit, and serves as a good example of what can be done with it. The game runs in a 16 million colour screen mode, and it features seven level maps that consist of 112 screens. There are ten different levels available to play from the start screen. Sound effects come courtesy of the RDSP virtual sound chip – which also comes from AMCOG, and can generate synthesised sounds in real time – and there are five original music tracks. If you haven’t bought it yet, but like what you see, the game costs £9.99 and can be purchased via !Store – which now features the new version. If you’ve already bought it, the update is free of charge – so if you purchased it from !Store you can simply download the latest version that way. If you purchased the game on CD at a show, the CD box should contain a code that will allow you to also fetch the update via !Store. 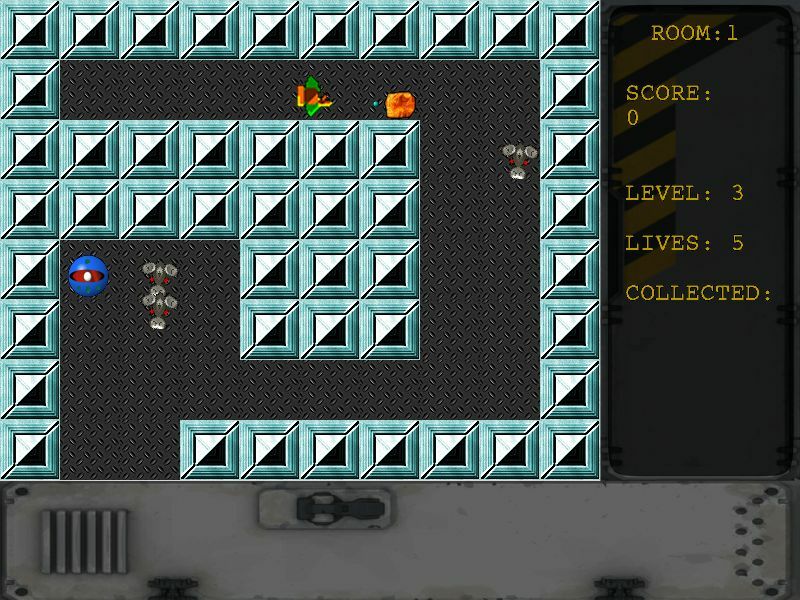 The game is compatible with computers running RISC OS 4 and 5, including the Raspberry Pi, BeagleBoard, PandaBoard, and ARMX6, as well as emulators RPCEmu and VirtualRiscPC. In the original announcement of the game I referenced the 1989 film Cyborg, starring Jean-Claude Van Damme, which my memory has in the ‘dodgy science fiction’ box. There was also a 1993 sequel, Cyborg 2: Glass Shadow, and my memory says it’s even dodgier. To be fair, though, the only specific thing I can remember about it is Jack Palance’s voice and the line “I’ve got my eye on you” – and I had no idea until I dug out that IMDB link that Angelina Jolie was in it! I think that’s both I need to watch again, then.